How can the aviators of today support each other in developing the aviators of tomorrow? No one becomes a pilot alone. Whether through instructional, financial, or moral support, every pilot owes his or her wings to someone. “Pay it forward,” Derek Rowe’s reminder to himself, is the outlook we need to address the pilot shortage. We spoke with Derek, an Aerospace and Aviation Flight Teacher at McGavock High School, about how this simple concept is guiding teachers, administrators, and organizations to improve the lives of students and tackle one of aviation’s most pressing challenges. Tell us about your program and how you ended up there. Imagine having a job that grants wishes, a job where teenagers can accomplish the impossible. Here in Tennessee, and across America, those wishes are coming true every day. McGavock High School is a part of the Metropolitan Nashville Public School district. At McGavock, Career and Technical Education (CTE) and STEM are among the main remits. Students in these programs choose a career pathway in one of our academies. I teach Aerospace and Aviation— affectionately known as “Flight”—which is part of the Aviation and Transportation Academy. We prepare students to be valuable members of the future aviation workforce upon graduating from high school. I accepted the role of flight teacher because I was excited about being part of a team that could make a teenager’s dreams come true. Even though I've been an aviator for over 35 years and an instructor for over 20 of those, teaching high school students has its challenges. The program, too, posed challenges when I first started. Six years into its tenure, the aviation program failed. So, I was inheriting a program that was essentially broken. I honestly can say that for the whole first year, and the majority of the second, that I was ready to quit at the end of every school day. The saving grace was my trip home. For the first seven months, I lived in Madison, Alabama—so, my drive was two hours each way. Each day, the drive home gave me the time and space I needed to recharge and reflect (and the strength to go back the next day). My students also kept me motivated. I realized that many of them were in the same place I had been at their age. Coming from a large, financially challenged family, I was required to leave school for the workforce as soon as I was legally allowed. In Great Britain, that was 15-years-old. I had no formal qualifications from my years in school. So, after five years of working in a number of manual labor jobs, I joined the British Army. It was the best decision I ever made. The army helped me gain the education and qualifications I needed to earn my wings as a helicopter pilot. Through the army, I was able to fulfill my dream at no financial cost. Now, I have the chance to pay it forward to my students. I work daily to show them that any dreams are possible, and that the only, unnegotiable cost is hard work! Once you got your hands on the program, how did you work to improve it? Our first year was a build-from-nothing year. However, once our curriculum was developed and our course foundation was laid, we were ready to fly! I focused on utilizing and updating our training equipment and getting our students primed to perform at the appropriate level. In January of that year, we were visited by Second Lady, Dr. Jill Biden; Tennessee Governor, Bill Haslam; and several local dignitaries. They were all very complimentary, and each of them congratulated the students on their achievements. It was just the boost the students and the program needed. Chris Erlanson, the owner of Nashville Flight Training, announced the academy’s first Nashville Flight Training scholarship recipient. The flight school now partners with McGavock Flight to offer an annual scholarship for the A&T Academy students. Aviation Nation, led by its founder, Bob Kelly, is another main contributor to McGavock Flight. That night, it officially dedicated an aircraft build project to the program and—aboard the Van’s RV-12 aircraft that the students are constructing—oversaw the “popping of the ceremonial rivet.” The project is a three-phase build kit facilitated by Aviation Nation and supervised by the Experimental Aircraft Association (EAA), which offers technical expertise and helps fulfill the FAA’s regulatory requirements. So, gaining local community support and partners has been key? Absolutely. 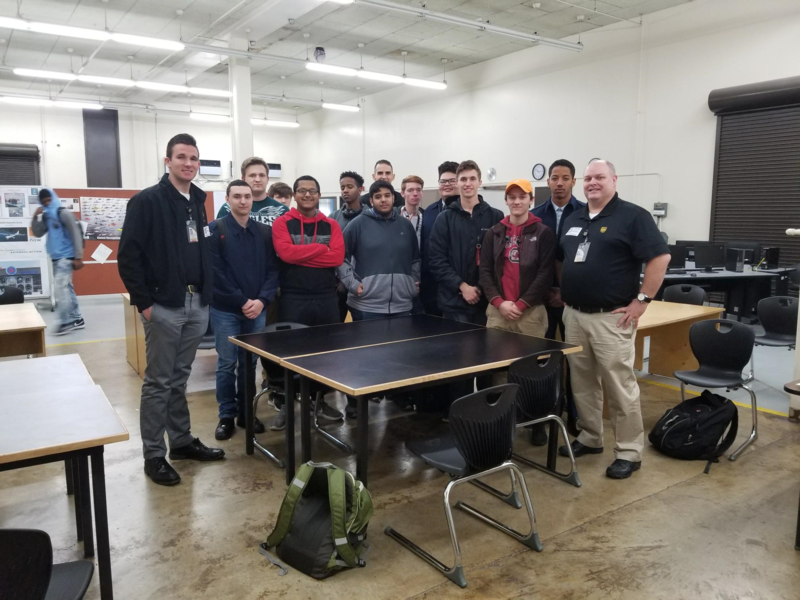 Support from corporate and nonprofit partners—such as Nashville Flight Training, Aviation Nation, and EAA—enables McGavock’s A&T Academy to inspire lifelong learning through unique, educational and extracurricular activities. We are also forging relationships with UPS in Louisville, KY; FedEx in Memphis, TN; and Southwest in Orlando, FL. The future looks even better! We are honored to be working with industry and business partners that support us with opportunities for internships, scholarships, guest speakers, new equipment, and more. Our partners include Cummins, Nashville Flight Training, BNA, Aviation Nation, AOPA High School Aviation Program, Experimental Aircraft Association, Delta Airlines, the Deaver Phoenix Foundation, Middle Tennessee State University Aerospace, National Flight Academy, local and national recruiting teams for the US Army, Navy, Marine Corps, and Air Force; the EAA Young Eagles program, and EAA Chapter 162 in Nashville. 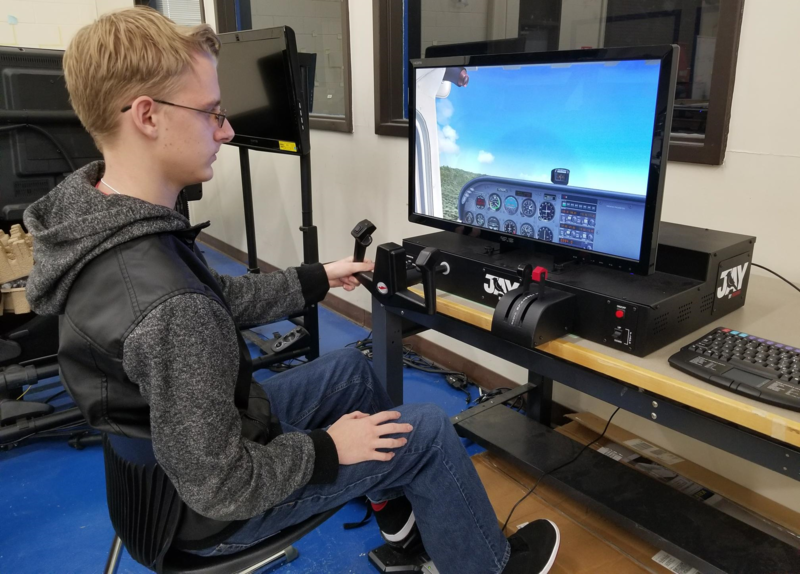 McGavock A&T Academy now is among an elite group of 20 schools which provide students the opportunity to earn a written pilot certification and earn up to nine college credits toward an aviation degree. As we continue to grow as a program and student body, the third year at McGavock Flight has been even more exciting. For the first time in the eight years of the aviation program, our sophomore classes are full and oversubscribed. Additionally, this year’s graduating class takes with it industry certifications, university credits, and many honors and distinctions. 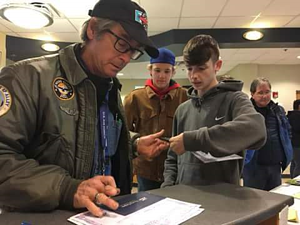 As a testing school for the High School Aviation 9th grade curriculum, McGavock High School Aviation is honored to be assisting the AOPA High School Aviation Program in the 2018-2019 school year. Over the next few years, we also will complete the upgrade of our existing desktop computers—which run Microsoft XFlight—with new Jay simulators from Redbird Flight Simulations. This certainly will be beneficial to the students and make them even better prepared for the future. It has been an amazing journey and I have grown immensely through this experience. The lessons I've learned, and the insights I've gained, have left me with a profound need to pass them on to other schools. I formed the High School Aviation Association to do just that. The association assists other schools in starting up aviation programs, developing curriculums, networking, and working with industry and business partners. I also have been fortunate to speak about our successes at respected aviation and educational conferences. As we approach the end of the school year and reflect on the past three years, it is more than apparent that programs like this—and other career pathways—are crucial to the success of the student and the good of our workforce. As such, it is paramount that companies and organizations recognize their role in supporting high school CTE programs as they empower students to be the best they can be!